Just in time for summer! 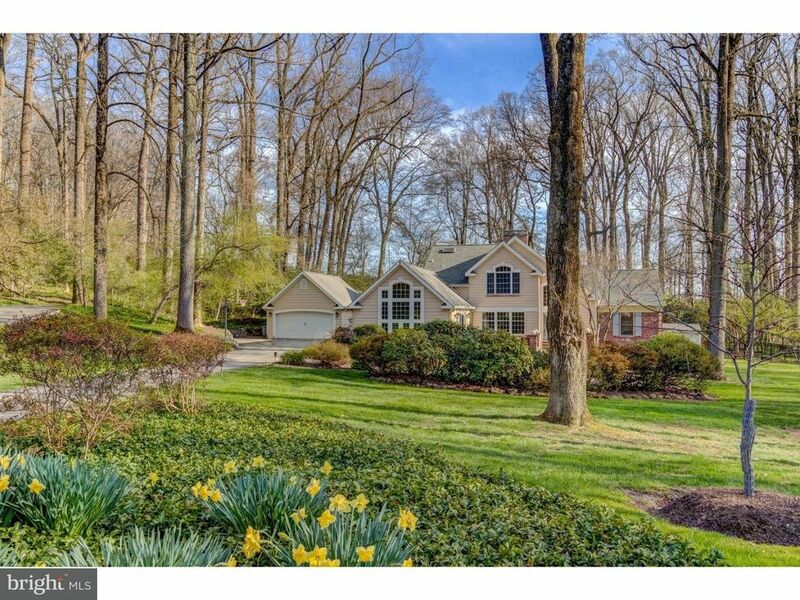 This scenic .83 acre Villanova property, in the heart of Radnor Twp., offers wonderful space for outdoor entertaining and relaxation. Two patios and a sparkling pool/spa overlook the expansive yard which abuts deed-restricted, protected open space at the prestigious Ardrossan Estate. This 5 BD, 4/1 BA colonial Cape Cod-style home has been significantly expanded and features great space for formal entertaining and casual relaxation. The 2-story Entrance Hall opens to the Dining and Living Rms, which both have built-ins and fireplaces. A 3rd fireplace is found in the soaring Family Rm, which has a beadboard ceiling, stunning wall of windows, and French doors to a large patio. The Kitchen has cherry cabinets, a very large island with breakfast bar seating, 2 ovens, and a Butler's Pantry area with wine frig. Nearby is the Breakfast Rm/Study. The tiled Sunroom is convenient to the rear patio, in-ground pool, & jetted spa. The Mudroom is near the detached 2-car Garage and has a Powder Rm and coat closet. A main floor In-Law/Au Pair Bedroom with a full BA is ideal for guests. Upstairs is a soaring Master BD with large windows on 3 elevations, 2 large closets, and a vaulted Master BA with skylight. BD 2 has an en-suite 3rd full BA. BD 3 has TWO walk-in closets and a vaulted ceiling, and shares the Hall BA with BD 4. The renovated 2nd fl. Hall BA has a freestanding tub, double vanity, and separate glass-enclosed shower stall. Downstairs, the finished Lower Level has a Rec Room with 4th fireplace, ample space for exercise equipment, and a huge, partially finished Game Room. The spacious, daylight Laundry Room has a utility sink, ample space for storage, and a door to the side yard (ideal for bringing wet towels in from the pool.) Located in a peaceful, no thru traffic neighborhood, on a very quiet cul-de-sac, this home is close to shopping, public & private schools, trains, parks, and offers EZ access to corporate centers, the Blue Route, Airport, and Center City.